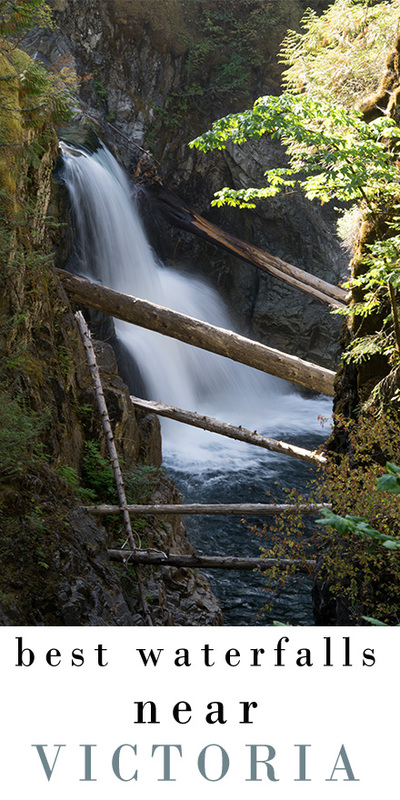 Little Qualicum Falls has been a feature several times on our vlog on our way to Tofino and Ucluelet. Today it is a trip in its own right – almost. On our way to Little Qualicum falls we found an animal sanctuary that takes in injured wildlife on the island from eagles to ravens to bears. If they are able to rehabilitate them they return them to the wild and if not, they keep them in the Sanctuary. From there we went to get treats at the always fun Goats in the roof in Coombs, BC. Loaded up with refreshments we tackled our third waterfall of the day. This is one of the only times that we went to Little Qualicum falls as a trip in its own right rather than on our way somewhere else. We experienced a renewed appreciation for this gorgeous falls that run between the rocky gorge. 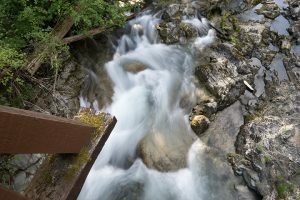 There is a trail that loops all the way around the river and offers access to both the upper and lower falls. It is an easy two km hike that will take you about an hour to walk around the loop, with very little elevation and climbing.